Despite the Russian ruble’s continuing fall as oil prices crash, there haven’t been any big bankruptcies, says Vladimir Rozhankovsky, head of research at OK Broker Investment Company. 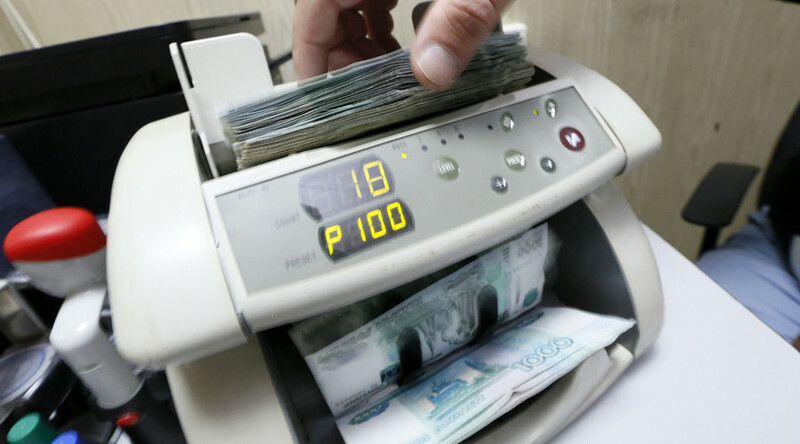 A weak ruble, he adds, helps Russian companies survive the crisis. Oil prices are continuing to fall. Crude plunged to a 12-year low with the price of a barrel of oil now close to 30 dollars, and threatening to go down even further. The Russian ruble, still largely dependent, on the oil price, fell to 77 against the US dollar on Tuesday for the first time since December 2014. RT:How low could the price of oil go, realistically? Vladimir Rojankovsky: I am trying to look at it from a different perspective – from the way of the US dollar strengthening. The other day Dennis Lockhart, from the Fed of Atlanta, said the Federal Reserve is very well positioned to proceed with monetary tightening. There is not much room for monetary tightening unless the dollar eases. It is not possible to make further tightening if the dollar index is hovering around hundred. Therefore, I am looking at the oil drama from this kind of angle – that the dollar has very limited upside potential, as we say in the stock market. I expect the dollar to ease very soon - in three or maybe four weeks from now, and that will put a start to the moderate strengthening of oil. RT: Russia is one of the counties hit hard. The ruble, highly connected to the oil price, is plummeting. What should Russia as well as other countries with energy-dependent economies do now? VR: We decided to make ruble free float. Therefore, there are not much options for us. For example, the Chinese imposed strict guidelines on dollar exchange. It happened a few days ago. As far as I know, the Russian Central Bank is not up to doing anything like that. It means we’ll experience this kind of high volatility. But it doesn’t mean the ruble will be in free fall forever. More to say… there is a small benefit of ruble devaluation: it helps Russian companies to survive these difficult times. Listen, we don’t have any single big story of defaults, of bankruptcies in Russia, unlike in countries where their domestic regulators cannot devalue their currencies against the dollar and in the dollar zone itself. According to some estimates, about a third of American producers, both – shale producers and also part of the conventional producers of the Mexican Gulf – are experiencing one or another sort of bankruptcy factors. It doesn’t mean they are undergoing bankruptcy, but the bankruptcies are threatening their existence. RT: But does a cheaper ruble make Russia more attractive for foreign investment. Do you expect to see more international companies come to Russia? VR: … Russia is economically very well positioned towards a huge inflow of foreign investment. Unless we experienced political aspects, we would have really interesting investment story right now. I am very sorry to say that geopolitical aspects do not allow us to fulfill these kinds of expectations. RT:The main reason for the current crisis is the massive oversupply by oil. But Saudi Arabia, the most influential member of the world's main oil regulator OPEC, is still reluctant to cut its production. But Saudi Arabia's budget is suffering badly because of the low prices. What are the Saudis hoping to achieve by refusing to cut production? VR: [There’s] 16 percent of budget deficit [in Saudi Arabia,] incredible. They are fighting for their market share. I think this is pretty much straightforward. I don’t see there is any hidden substance beyond that assertion that Saudi Arabia wants to preserve its market share. Obviously it is fighting with nonconventional producers, such as shale producers and their breakeven costs are much higher. If we talk about Canadian oil sands, they are very much passed their breakeven points. If we talk about conventional shale producers, we are talking about $ 45-50. Still oil is trading much lower than that. So Saudi Arabians right now are reasonably expecting these companies to fall. What happens next? Some say that they probably will be able to recover as quickly as they went bankrupt. But I would argue with that point, because of the cost of conservation of this. First of all there is a huge cost of the environmental effect. They need to make environmentally safe conservation. It will cost them a lot of money. 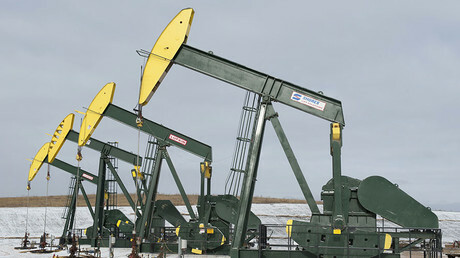 Also, horizontal drilling and fracking: conservation of these types of mechanical activity also requires a lot of money. So the companies which will probably go bankrupt will need to bear huge cost on just keeping the environment clean and safe. Therefore, I don’t think they will come back to that production really soon... It is very dramatic time right now.